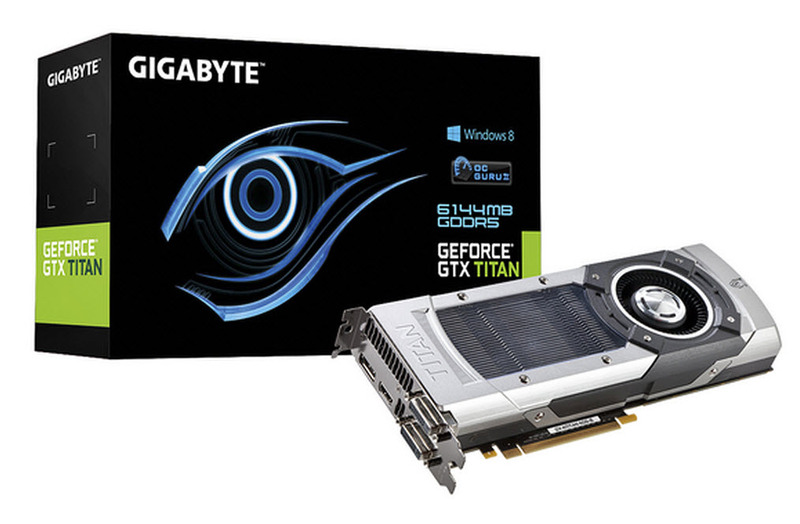 Gigabyte’s upcoming GeForce GTX Titan has been unveiled which sticks to the NVIDIA reference design. NVIDIA’s GeForce GTX Titan GPU which is based on the GK110 architecture was launched a few days and retail availability is expected next week with reviews hitting various tech sites today. The Gigabyte GeForce GTX Titan is the fastest GPU on the planet with a GK110 core holding 2688 Cuda cores, 6 GB GDDR5 memory, 224 TMUs and 48 ROPs. The clocks are maintained at the reference 837 MHz core and 876 MHz while the memory is clocked at 6 GHz effective with a total bandwidth of 288.4 GB/s. The card is a referenc model hence we won’t be looking at any custom PCBs for the moment but Expreview details that Gigabyte may possibly prepare a GeForce GTX Titan SOC (Super Overclock) model in the future and with NVIDIA giving a free hand to AIC’s to produce any custom models they wish to we believe this news may actually be legit. As for other specifications, the Gigabyte GeForce GTX Titan has a TDP of 250W, powered by 6 + 8 Pin connectors. Display outputs include Dual Link DVI, HDMI and a full length Display ports. Pricing is expected around the $999 mark which puts it on the same level as a single GeForce GTX 690 but we are more excited about the Super Overclock variant now. The GeForce GTX Titan reviews are expected at 8:00 AM EST today, you can for now see our GeForce GTX Titan coverage and preview links here.